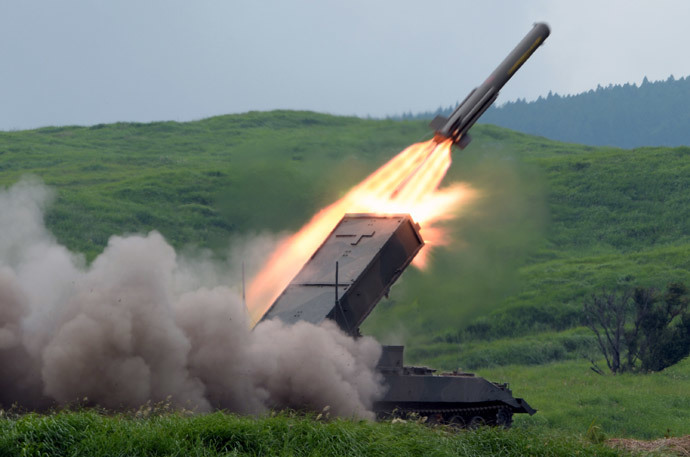 The Japanese government is renewing arms exports after decades of an absolute ban on the trade of defense equipment and technologies. Japan’s neighbors expect them to move away from the pacifist stance fixed in the country’s post-WWII constitution. On Tuesday, after nearly half a century of exemplary pacifist policies, Japan’s conservative government of Prime Minister Shinzo Abe approved a modified, more relaxed version of the three basic principles of the nation’s arms exports. Rethinking the country’s military exports has become a compliment to the already announced revision of Japan’s pacifist-minded constitution by 2020, and the adoption of a pre-emptive strike strategy against potential aggressors. PM Shinzo Abe’s government is striving for fundamental changes in Japan’s military defense policy. Earlier in 2011, Japan eased regulations on the export of equipment for humanitarian and peaceful purposes, hoping to facilitate cooperation in developing and producing weapons for international trade. The Japanese government’s decision is likely to spark protests from its neighbors. In fact, China has already spoken out against Tokyo boosting military spending and engaging in a military buildup. The ‘new’ principles are internationally recognized and mean no weapons exports to countries involved in conflicts and regimes under UN resolutions. In any case, the final decision on whether to allow military exports will always be made by the National Security Council, a body created in December 2013 specifically for speeding up defense and foreign policy actions. 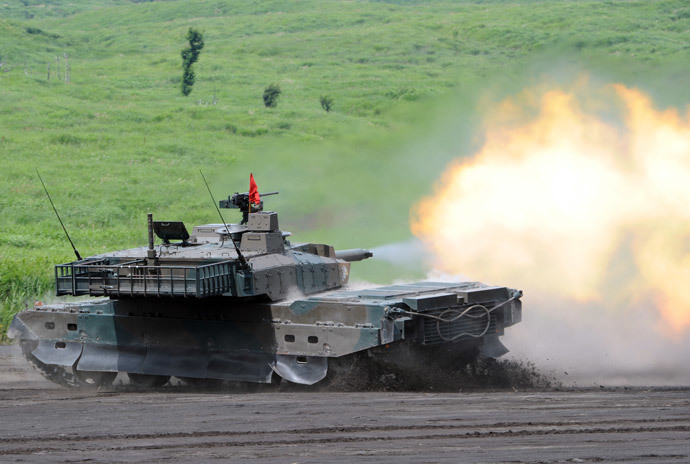 After the decision to facilitate military exports was sanctioned, Defense Minister Itsunori Onodera told journalists that the move is set to ease Japan’s cooperation on defense technologies with other countries, primarily with the US. Japan has territorial disputes with nearly all its neighbors, among which are military heavyweights China and Russia. 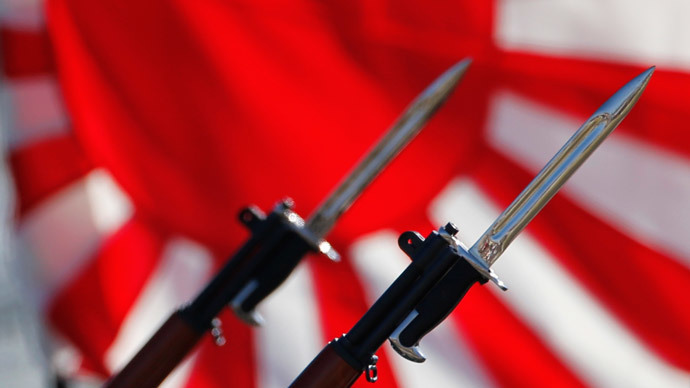 The further militarization of Tokyo has always been a matter of time, even though the US has a considerable military presence in the country and has promised to protect Japan from Beijing. During a visit by Russia’s defense and foreign ministers to Tokyo in November 2013, Russia and Japan agreed to conduct joint military drills and maintain military cooperation, an unprecedented move considering the two countries have never signed a treaty to mark the end of World War II, due to a territorial dispute over the Kuril Islands in the North Pacific. After Abe’s Cabinet raised Japan's military budget in 2013 for the first time in 11 years, it reached nearly $57 billion, elevating Japan to a surprising fifth position in global defense budget ranking, following the US, China, Russia and the UK. Yet among the top-20 military spending nations, Japan has the smallest defense spending to GDP ratio - a mere 1.1 percent.. The original ‘three principles’ of Japanese arms export were adopted in 1967 and prohibited the export of military technology to ‘communist states’, conflict zones and countries subject to UN arms embargoes. In 1976, the principles were modified to the extent that export was banned for any military technology from Japan; this became a graphic example of the country’s pacifist stance after its disastrous defeat in World War II. Japanese defense contractors, such as industrial giants IHI, Kawasaki Heavy Industries and Mitsubishi Heavy Industries were virtually excluded from overseas markets. But the world and the geopolitical situation has changed a great deal over the past few decades. Now, after years of discussions, Tokyo is resolved to revise the country’s generic approach towards national defense and security policies. Today Tokyo is looking forward to exercising its self-defense rights, while at the same time abiding by the UN Charter.